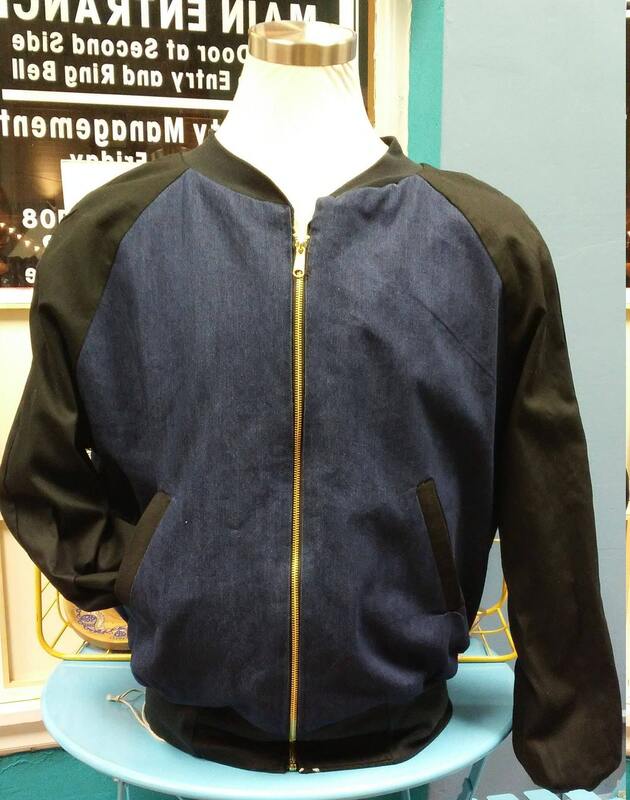 Handmade reversible bomber jacket, made in beautiful mud cloth from Mali and denim. 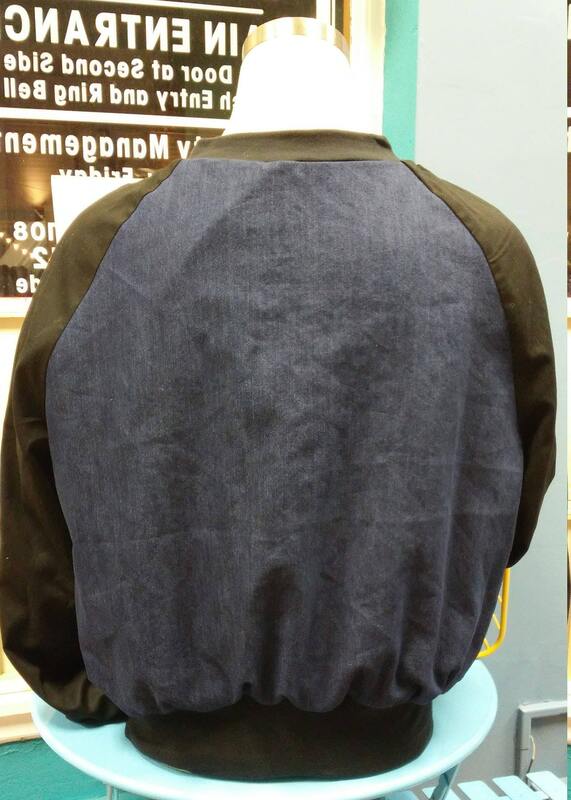 Welt pockets on denim side, side pockets on mud cloth side. Unisex sizing, for women size down by 1. Mud cloth is an eco-friendly textile, handwoven by men in Mali. After the cloth is woven, it is painted with a fermented bark and mud mixture and left in the sun for the dye to saturate. Each piece of mud cloth is one of a kind, no 2 pieces are alike. 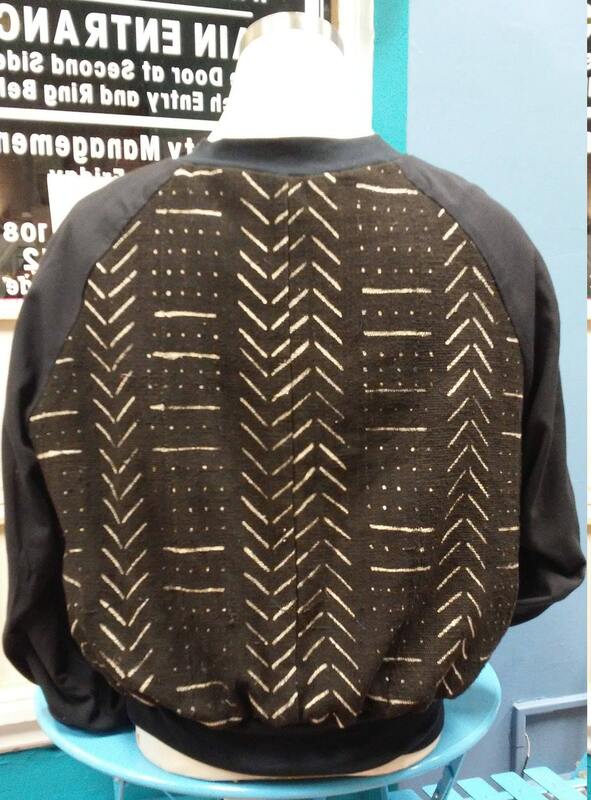 A beautiful handmade textile is the base for my handmade bomber. Mud cloth is fair trade sourced in the art markets in Ghana. Each piece is limited edition and unique. 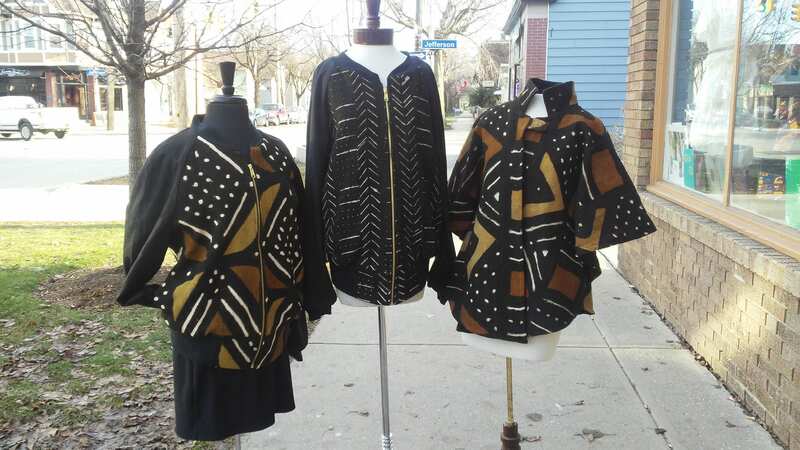 Please see my other mud cloth capes and bomber jackets in my online shop, or in the Tidal Cool Boutique. 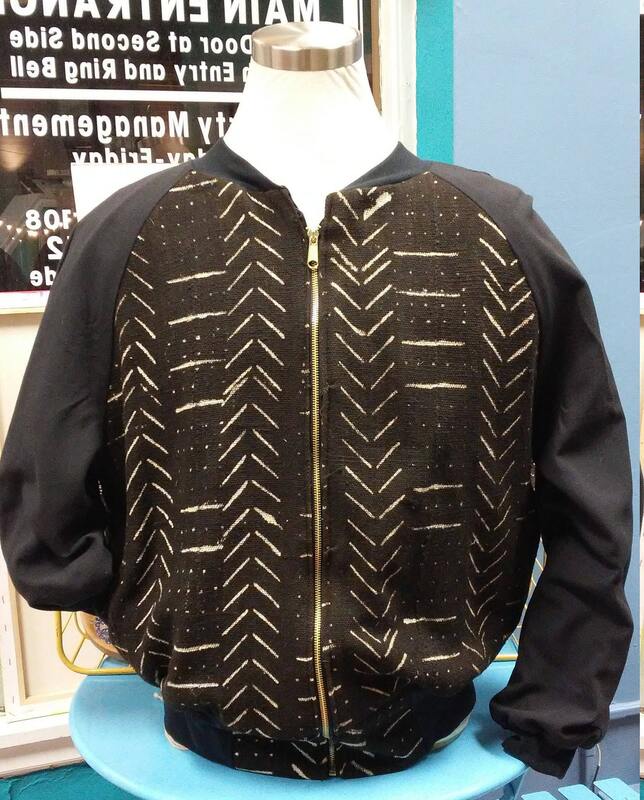 Mud cloth bomber is handmade in my Ohio City studio. Please contact me for custom sizing. All clothing is handmade by Andrea Howell in Cleveland, Ohio.